Louise Is A Food And Nutrition Writer, Cookbook Author And Magazine Columnist. She is passionate about cooking with whole food ingredients for optimal health and wellbeing and has written five cookbooks. 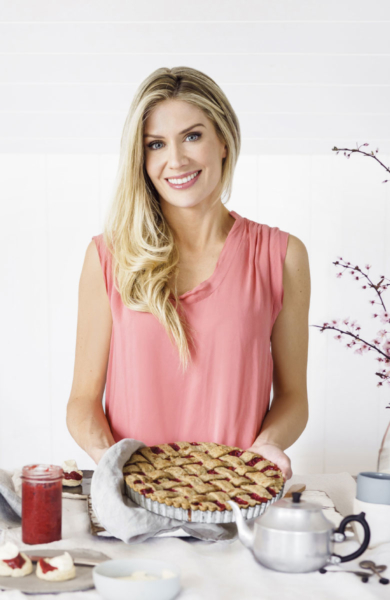 She has two regular nutrition columns in Taste Magazine – Healthy Showdown and Naughty & Nice – is the Nutrition Director at Vive Active, and makes regular media appearances. Louise’s recipes are the best of both worlds. With a focus on whole foods, natural fats, less sugar and plenty of goodness, they’re both nourishing and delicious. Cook from scratch and you can have your cake and eat it. Louise has written five cookbooks, including translated versions that are sold worldwide. Louise has written a healthy baking book (Sweet Nourish), a baby and toddler cookbooks for parents, a family meals book with baby and toddler adaptions. She has also published two food-related storybooks for children and contributed recipes to other authors’ cookbooks. Louise has two regular monthly nutrition columns in Australia’s leading food publication Taste Magazine. Louise is the Nutrition Director at Vive Active, an incredible new reformer pilates experience. Louise makes regular media appearances, including on Channel Seven’s The Morning Show. In partnership with Thermomix, Louise has published three bestselling cookbooks.